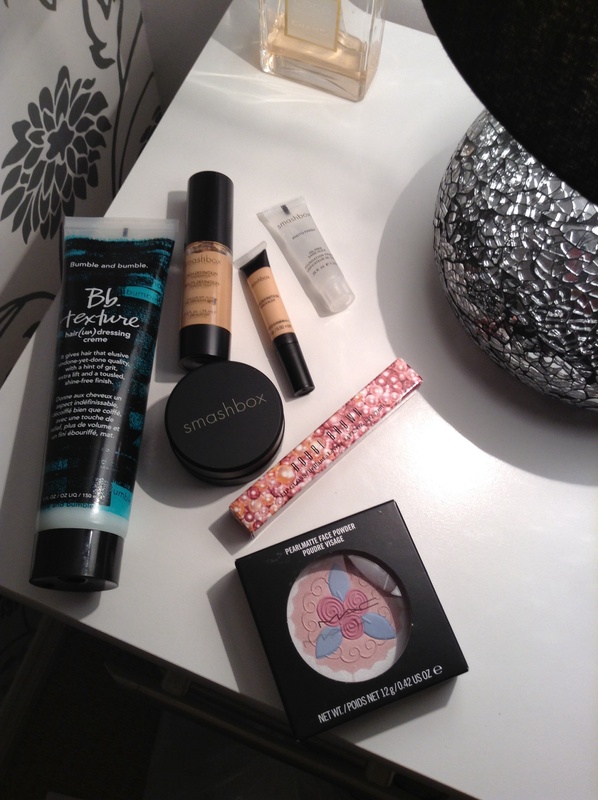 The Haul – London | The Beauty Spot – The Beauty Spot. 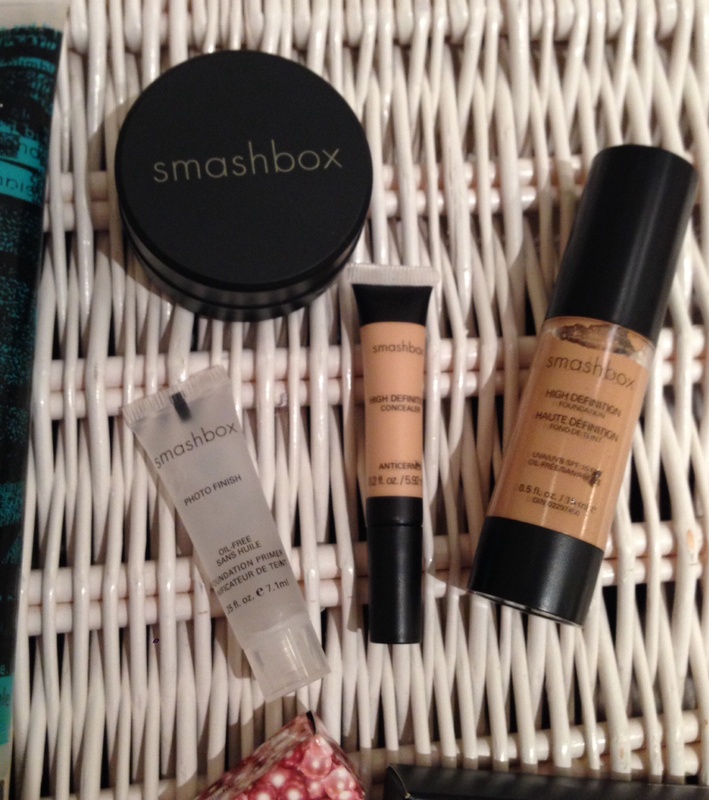 Smashbox Complexion Perfection Kit, light – this is 4 travel sized items. I’ve wanted to try Smashbox foundation for a long time so this was the perfect opportunity. I’ll be trying it alongside other primers I have as well as the one included in the kit. 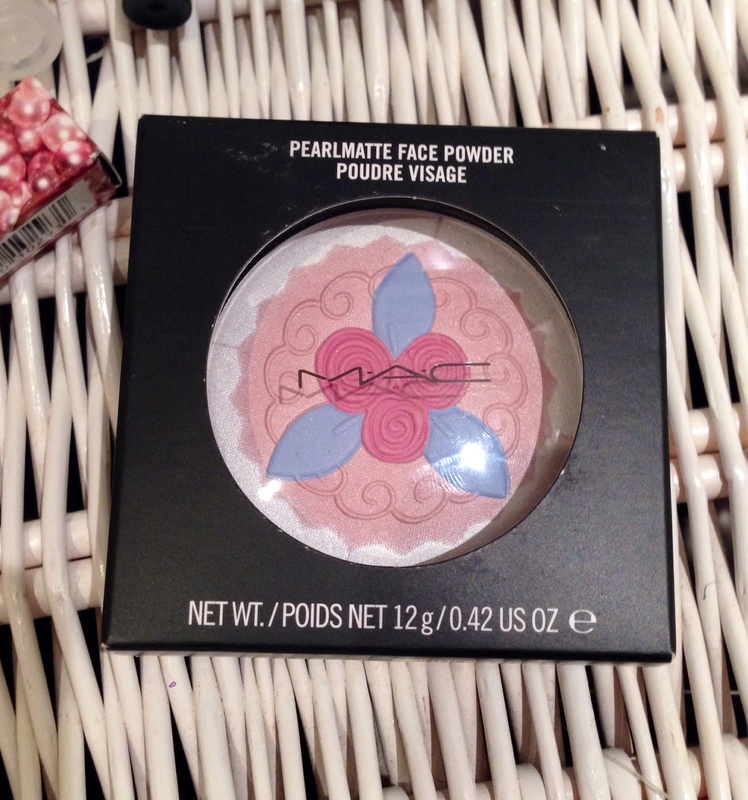 Mac Pearlmatte Face Powder, Pink Buttercream – a simple luminous powder that I just liked the look of. It will hopefully give me a nice glow during the winter months. 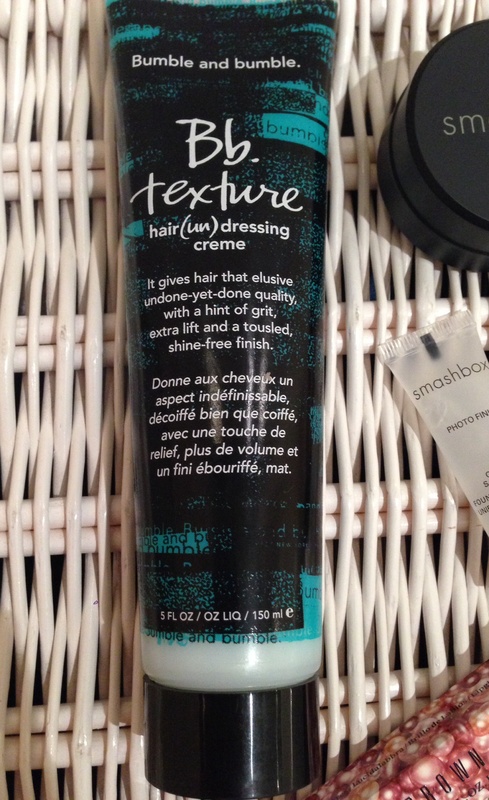 Bumble & Bumble Hair (un)dressing Creme – I’m growing my hair from a very short Frankie Sandford-style bob and because it’s very in-between at the moment, I like the messy and undone look, so I thought I’d give this a try. 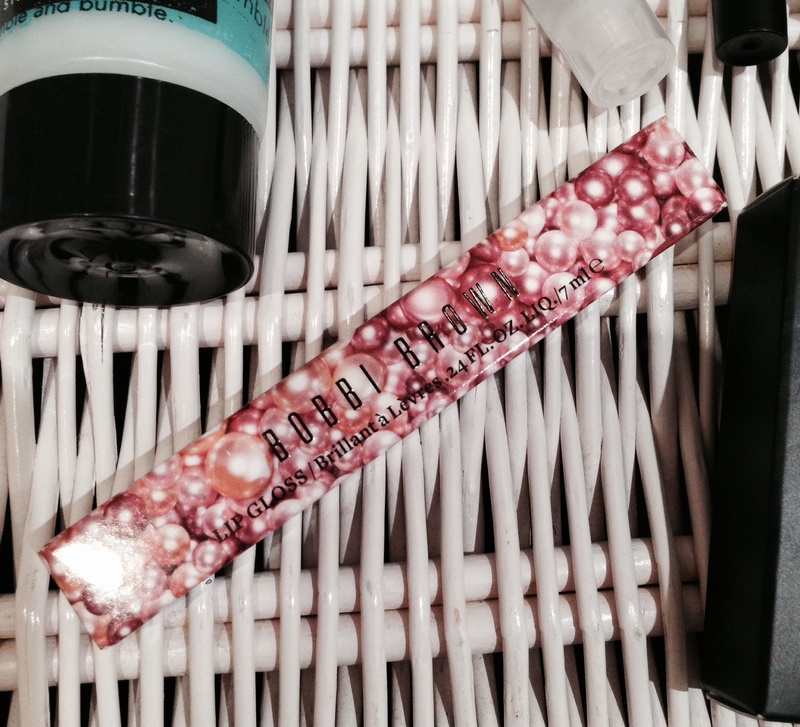 Bobbi Brown Lip Gloss, Pink Oyster – plain and simple, I just loved this colour! Although I my giver this as a gift at some point as the packaging is just asking for it! the A&F Super Skinny, Dark Wash – these are my holy grail jeans. Great fit, soft denim and so many different colours and washes available. I bought the dark wash as I feel I can use them to dress up in with heels and a nice top for an evening out for dinner or something. Gilly Hicks Bra Crop Top – worn to be seen under vests and tops. I’m not brave enough to wear this alone, but it’s great under a sheer shirt or cut out vest. H&M rings – I’ve wanted some of these for a while but haven’t found a pack to fit me. They were only £2.99 so I thought I’d give them a bash. 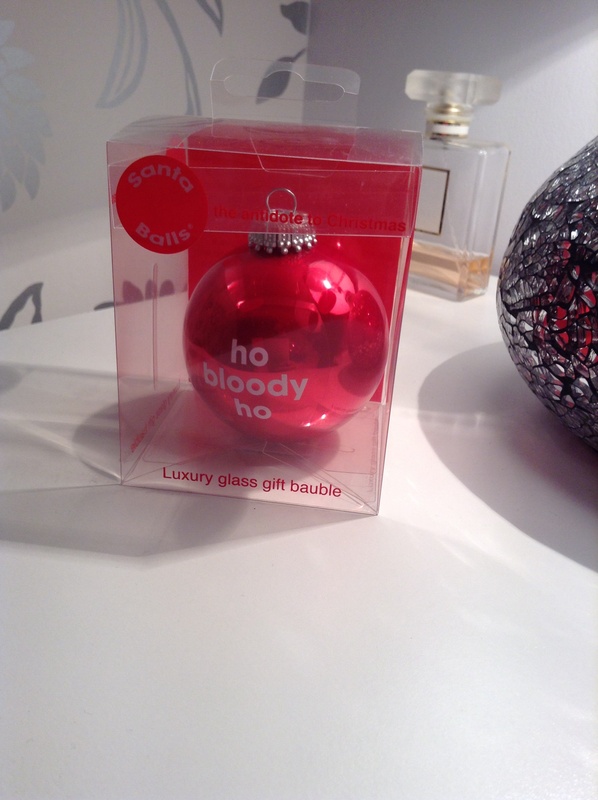 ‘Ho bloody ho!’ Bauble – Selfridges Christmas shop deserved a visit and I saw this with a few others of similar type, but totally loved this one! I’m not a total Scrooge but sometimes I do feel like saying this around Christmas. Well, that is it! I think I was very restrained as there is always a lot more shopping to be done in London! I hope you like the items, has anyone tried any of them before? What are your thoughts? Where are your ‘go to’ place when visiting London?